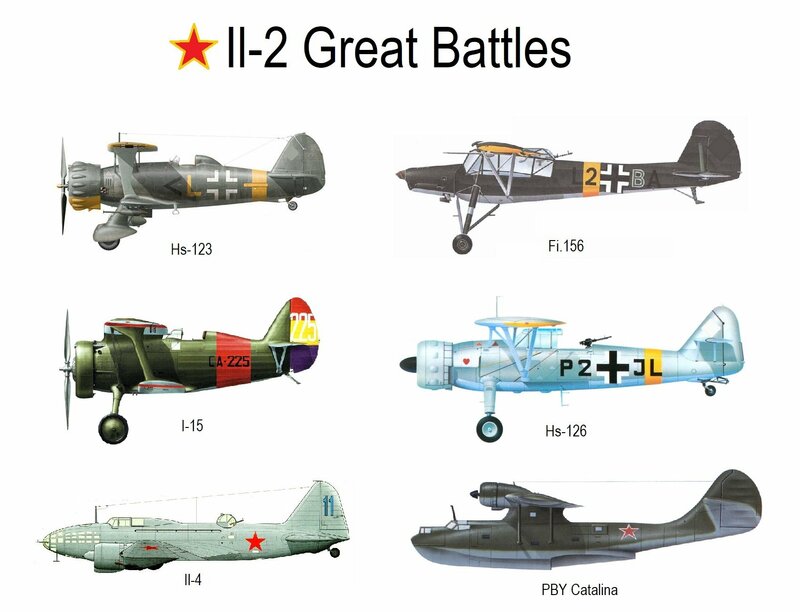 Here are some of my fantasies for Il-2 Great Battles. - Il-2 Battle of Britain expansion. A Battle of Britain expansion with an English channel map and plane set. 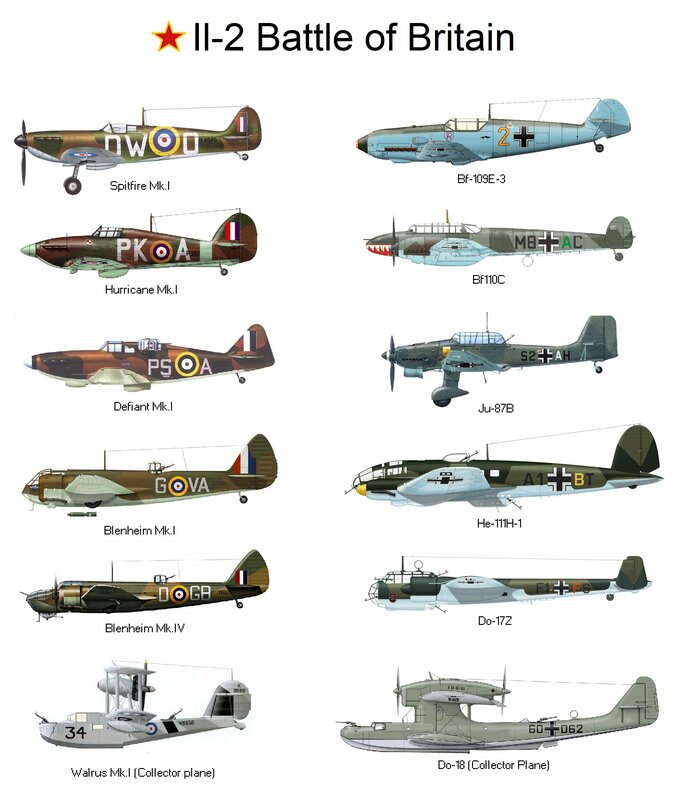 the same aircraft in some cases so it would be a simple matter of having skins for each side for each plane. Unusual. I know these have been brought up time and again and are highly unlikely to ever happen. But still, it's just not a WWI flight sim without them in my opinion. There hasn't been a decent simulation of an airship since the one in Dawn of Aces back in 1995.
straight up civilian aircraft. Though I'm sure many will disagree with that. spawn points and command posts and the like could lead to countless "maps" and scenarios. Game modes like conquest, survival and capture the flag, etc could be added. 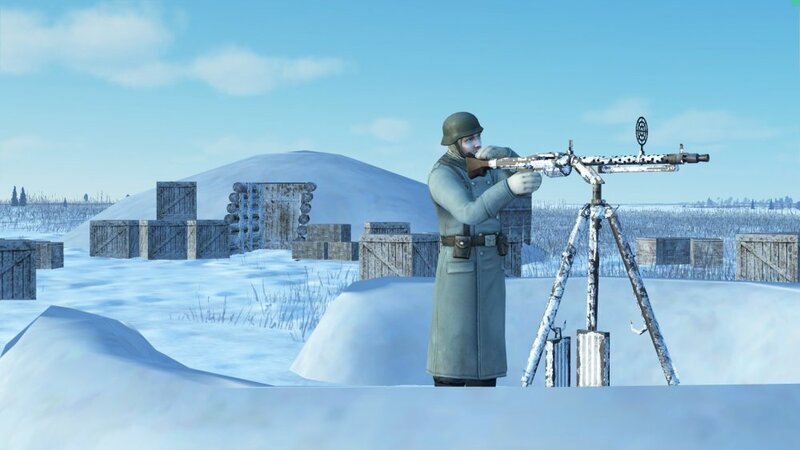 Having new objects for the mission editor like sandbag installations, barricades, sheds, barns, and other buildings you could enter, hedgehogs, machine gun and anti-tank guns would make this even better. 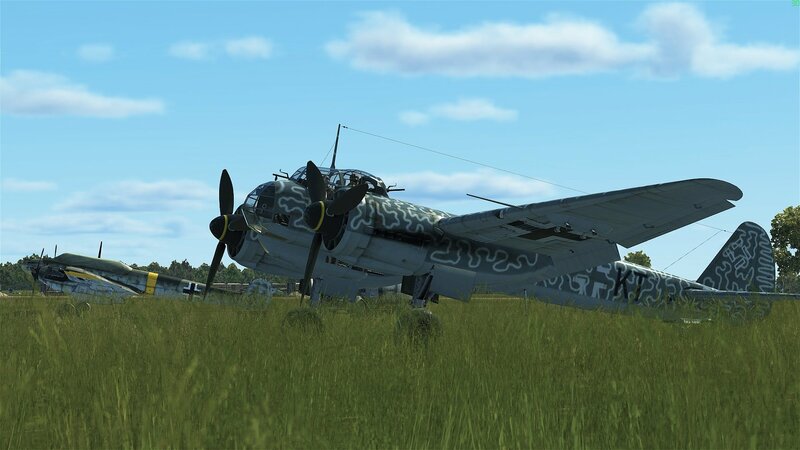 Personally, I think Il-2s graphics would be just fine. 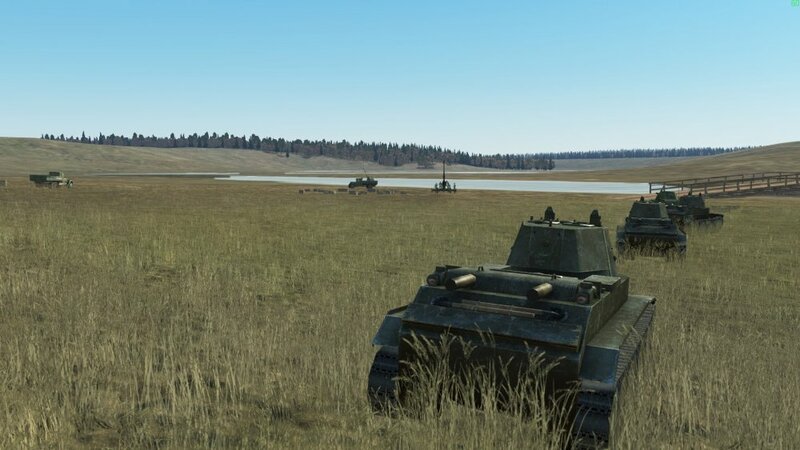 I wouldn't be asking for photo-realistic graphics or anything, and the game's default AI vehicle and soldier models would be just fine in my opinion. airfield, etc. You can't switch to control these units directly, but you can spectate individual units. Being able to direct multiple groups of AI units while individual players control tanks and aircraft would make multiplayer more interesting IMO and would be fun to play around with in single player too. Or even being able to direct both sides, and simply setting a bunch of AI planes against each other and then setting back and enjoying the carnage would be fun too in my opinion. Il-2 is such an amazing flight sim and now even a tank sim. The maps are nicely crafted and the physics and aircraft modeling is top notch. But the Il-2 engine just seems to have so many fun possibilities. 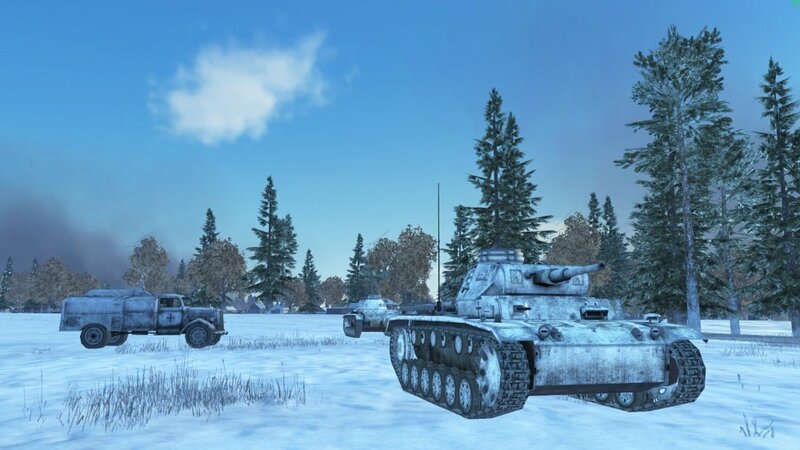 I'd love to see more of a "sandbox" aspect to the game kind of like DCS. And again, please don't take offense at this. These are just mostly fantasies and ideas I have about the sim. These are some great ideas. I would especially love a GB Battle of Britain set (I don't care for CLoD that much). 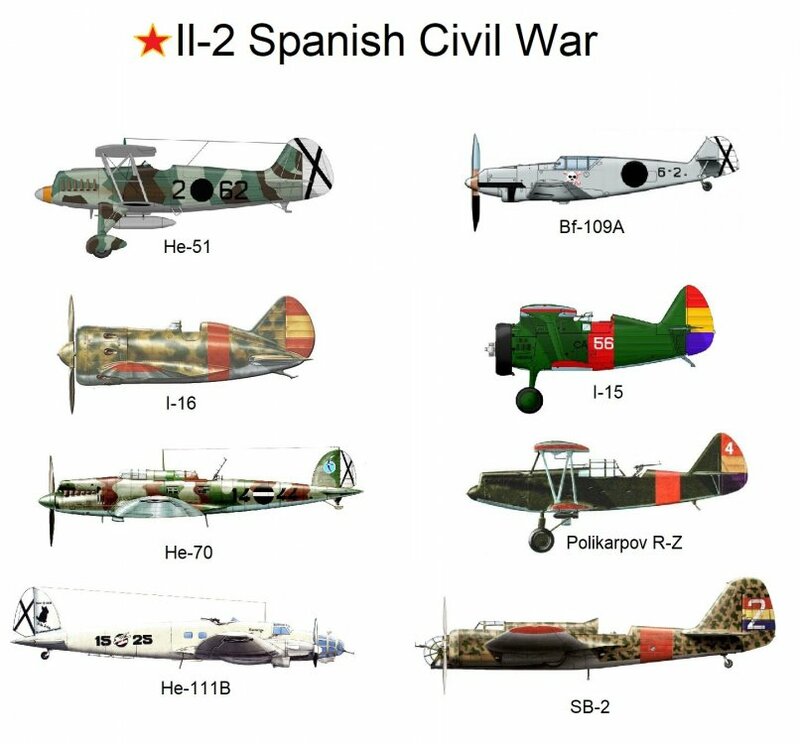 But, the Spanish civil war might be a problem since the 109 A was leaps and bounds ahead of the planes it was up against. It was many of the Luftwaffe pilots training grounds for practicing air combat since their planes out preformed the competition. Yah it seemed like a very lopsided sort of war. But I keep seeing it referenced especially in the development stores of WWII German aircraft and the Luftwaffe. Also if it was absolutely required that all the aircraft for the set had to meet the high-quality standard finding information on them would be an even more difficult task then the Japanese aircraft for the Pacific campaign seem to be. I agree, researching that would definitely be a difficult task. If you're interested in learning more pick up the book Lords of the Skies by Dan Hampton, they go through an entire few chapters on the Spanish Civil war and how it shaped the Luftwaffe's pilots and aircraft. Not to burst your bubble, but I don't think this would be the plane set if there ever was an IL-2 Battle of Britain. Lots of important planes would be missing. 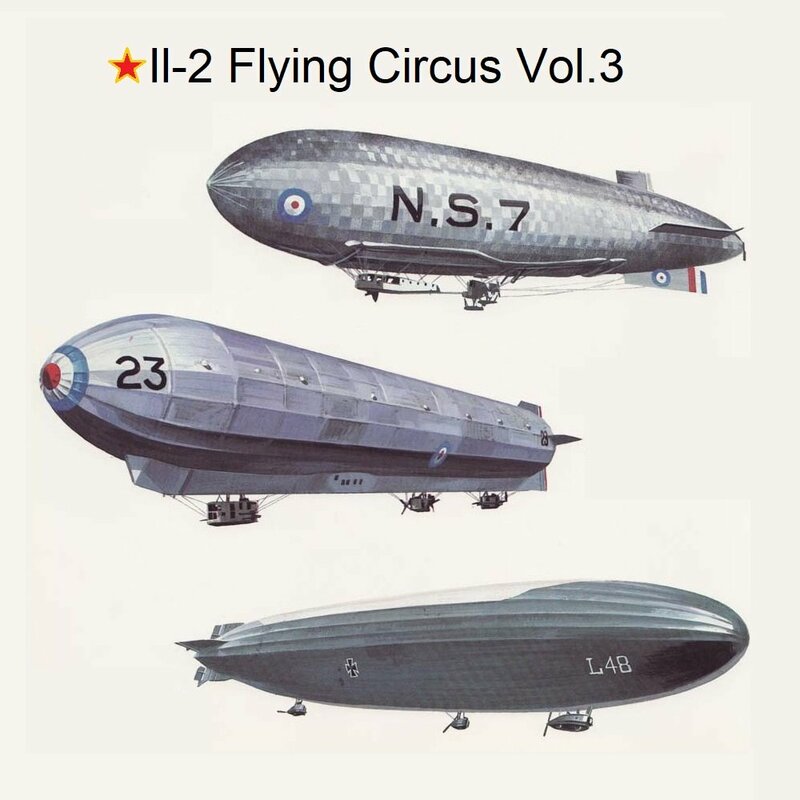 With the Walrus and Do-18, they would likely be part of individual collector planes, the latter for sure. They are sleeping right now, but the little junkyard dogs should be along soon to crush you. I'm really opposed to the concept of AI only planes in general. Its what I hated most about Il-2 1946 and other sims, to be honest. But yeah the Wellington would be really interesting. @Motherbrain Are you reading my mind? Most of what your fantasies are mine. Especially Bob and combined arms. I trully believe IL2 GB will never really be IL2"GB" without the Great Battle of Britain. For me, the future of gaming in this kind of sim is combined arms. Being able to ride on a bike with a mg42 should be fun! Using Kar98k and Mosin Nagant as well! Being able to control tank is a major step in this direction for me. Everyone has their own hopes for the future expansion of this series. Mine don't align with the OP of this thread. It doesn't mean I'm here crush anyone it just means I have no interest in the SCW or the BoF unless they lead to a BoB scenario. For every guy who comes up with his idea of the next best expansion, someone else will see it differently. Personally, I liked Jason's tease about a possible 1946 jet add on. I doubt the majority would admit to much interest in that. Different strokes as they say. All I'd really like to see is an engine capable of handling a big map and a couple of hundred Fortresses and Mustangs/Thunderbolts for Reich Defence missions. An actual proper night-fighter module. Functioning radar (ground and air), night that can't be gamma-gamed, with hordes of Lancs (and a few Mossies) vs 110s, 88s and 219s. In its current state, the IL-2 engine cannot handle large amounts of AI. This means that night campaigns would be lackluster, and the only places you'd find realistic simulation of the actual usage, would be in well co-ordinated MP missions with many players manning bombers. However, they'd be manning night-bombers, the gunners could hardly see a thing, and the only person really enjoying SHOOTING would be a radar equipped mossie/Me 410. 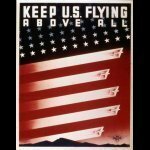 So unless the devs find a way to produce cohesive and communicative AI bomber formations, not much we can hope for. You could also then separate the large AI down into a non-intelligent NAV section, that instructs the formation to follow a course set by the mission maker (in QMB, this could be an AI made course, since this instance of AI is not being used at runtime of the actual simulation, just in the menus, meaning it is running separate from all the other AIs that run in the sim of the formation), and an intelligent "formation controller" who instructs planes relative to a coordinate "box" that the formation is controlled in. Bombers are then ordered to co-ordinates within this box. The NAV code moves this box across the map, and is essentially the "bomber formation", for all intents and purposes in the backend. Movement within the box is actuated by the AI of each plane as each plane then uses AI to construct a path to a co-ordinate set that it is given by the formation controller, with the requirements that the path must not collide with any other bomber. Then the other part of the AI converts this path into a set of control surface movements and power changes, and the bomber slots itself into place within the formation.  However, once in formation, each plane's overall mapwide movement is controlled by the formation controller, which instructs planes directly (e.g. all planes climb, all planes throttle 75%). For turns, it would be a little more complex, as in a (for example) right hand turn, the leftmost bombers will turn a wider circle than the rightmost. This is (I believe) solved by a circular motion expression utilising the box co-ordinates. The expression could state that as your x-coordinate (assuming the box is oriented such that the Y axis is vertical in relation to the bomber roofs, the X axis spans from left to right, and the Z axis from front to rear, meaning 0,0,0 is at the bottom front left of the box) increases, your turn rate increases linearly (since all the bombers need the same angular velocity, which is a product of their linear velocity and distance from the focus of the turn). Then each plane AI can interpret this and fly the turn correctly, just like a formation. This is a gross oversimplification, since the bomber could be slotting in with a loitering formation, meaning it has to take the curve of the box's flight path into account, but this is my idea of a solution to the problem. It almost certainly won't work, because I have no idea how taxing this is, or how taxing it is relative to the current implementation of bomber AI. Again, just brainstorming and practicing thinking about algorithms. I should probably do my CS coursework instead but oh well! Anywhere but Europe, most specifically, China/Burma/India, or New Guinea. I'm tired of seeing Bf 109s, and want to go anywhere they are not. If we absolutely have to have the Luftwaffe, then I would like the Med, but we can't have nice things, because CloD. Dev's are spoilt for choice that's for sure, if it flies i'll buy it is pretty much where I stand. I'm tired of seeing Bf 109s, and want to go anywhere they are not. No 109s in the Battle of Khalkhin Gol....just saying! Man, the budget afforded them would be a dream come true I'd imagine! just think what they could do with a huge influx of cash. I'm usually not convinced by a particular (set of) airframe(s) alone, but I'd love the SCW just for the Do-17 E/F and early series SB-2. They are both lookers for sure. I'm just happy there won't be a Battle of Britain instalment. Covered to death by all sorts of media and lacking dynamic in my opinion. I am with you brother ...tho I do believe if & when CLOD Blitz updates to 5.0 most of my BoB desires will be met EXCEPT for VR which it really needs! It will be interesting to see what they do with the North Africa map and new aircraft. I know I ‘m not alone in wishing for some form of Pacific theater, but judging by the length of time it has taken us to get where we are with Great Battles, I don’t think I’ll be around when this is finally addressed ( esp. fully functioning carriers...) Oh well I can always play the old I’ll-rPacific Battles. Enhanced with B.A.T. Mods when I need a fix.